Kiwi fruit is very good for our health because of the fact that the kiwi fruit contains vitamin C contained 108.9 mg. Kiwi fruit also contains vitamin E two times more than avokado. Benefits of kiwi fruit for you to know tertutama health-conscious. According to a marketing board Zespri International, Daniel Mathieson, the facts about the benefits of kiwi fruit is widely known by the public and much-loved by those who have more attention to the health of the body. To get the benefits of kiwi fruit, kiwi fruit you can eat raw, mixed with food, or eaten with the skin directly. Kiwi fruit contains vitamin C, potassium, zinc, and folate. These substances are very useful to maintain a healthy body. According to Nutrition Therapy expert, Dr. Mohd Yusof Norzita, benefits of kiwi fruit is very good for someone who is on a diet. By eating them, one can easily good diet for adults and children alike. You can eat them on a daily diet program. • Beneficial for skin health because they contain vitamin E.
• It prevents the accumulation of plaque deposits on artery walls that help improve cardio vascular health. • It is an excellent source of antioxidants that can fight cancer, because this fruit contains flavonoids, plant nutrients, and carotenoids. 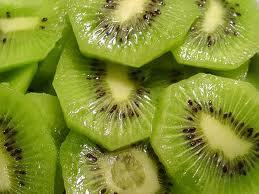 • Kiwi fruit can prevent cataracts and eye health as contained in the fruit content of lutein compounds. • Can keep us from asthma attacks, shortness of breath, and coughing in children.